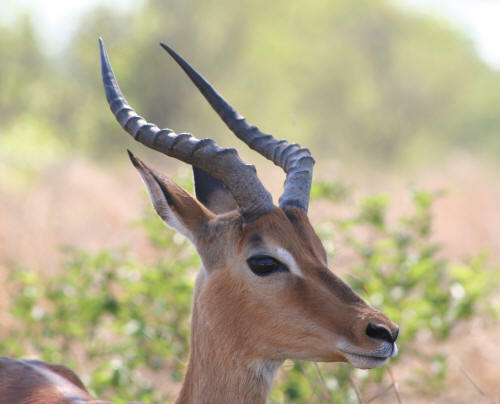 Kruger Park's Impala (Aepyceros melampus) are very quick and can run up to 80km/h. They weigh up to 80 kilograms and can live up to 15 years of age. They are the most common larger mammals in the Kruger. The Impala is by far the most common antelope in the Kruger National Park and can be found all over the Kruger, from top to bottom. They are more common around areas with water and are least common in the Mopane shrubveld habitat. 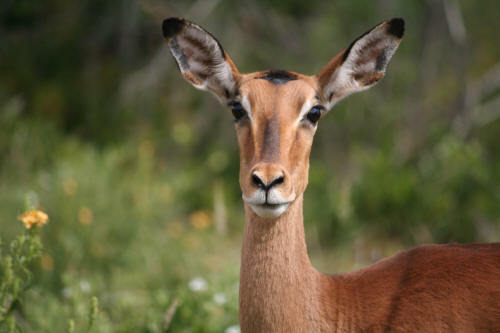 The Impala is an important prey species for numerous predators, especially Wild Dog, Leopard and Cheetah. However, the Impala, is preyed upon by almost anything form Jackal and Caracal to Lion and Crocodile. 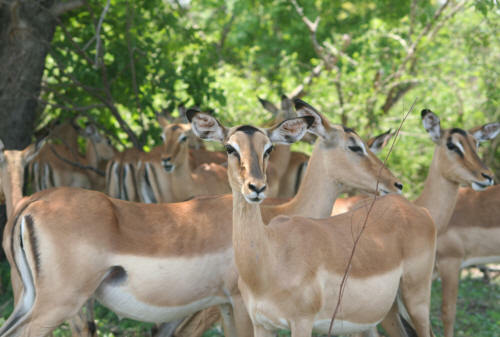 The reason why Impala are so abundant in the Kruger is because of how well they adapt to the different environments in the Kruger and the fact that they graze and browse on almost anything. They are a beautiful antelope, and take a few minutes to observe them when you are in the Kruger, they are amazing animals.